Ring Type Joint Flange is a method of ensuring leak proof flange connection at high pressures. A metal ring is compressed into a hexagonal groove on the face of the flange to make the seal. This jointing method can be employed on Weld Neck, Slip-on and Blind Flange. 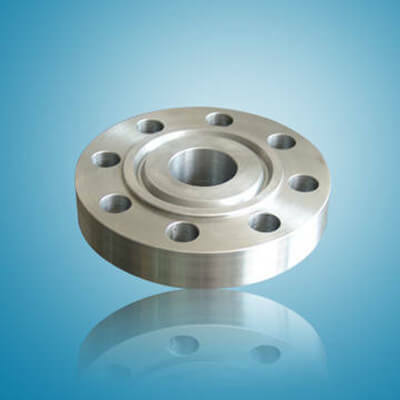 Ring Type Joint Flanges (RTJ Flanges) are used in Chemical and petrochemical processing. Ring Type Joint Flanges (RTJ Flanges) are used in electronics. Ring Type Joint Flanges (RTJ Flanges) are used in processing equipment for maintaining product purity in handling foods, synthetic fibers. 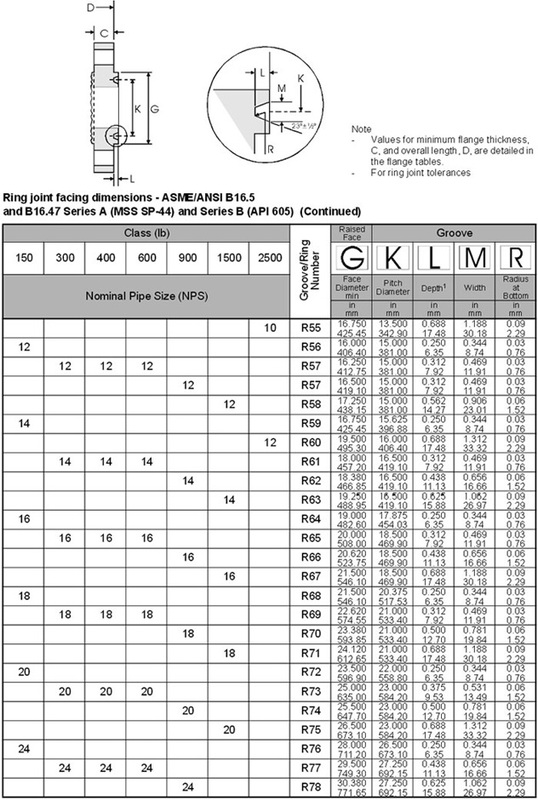 Ring Type Joint Flanges (RTJ Flanges) are used in marine and offshore engineering. RTJ flanges have grooves cut into their faces which accept steel Ring Gaskets. RTJ flanges seal when tightened bolts compress the gasket between the flanges into the grooves, deforming (or “Coining”) the gasket to make Intimate Contact inside the grooves, creating a metal to metal seal. An RTJ flange may have a raised face with a ring groove machined into it. This raised face does not serve as any part of the sealing means. For RTJ flanges that seal with BX ring gaskets, the raised faces of the connected and tightened flanges may contact each other. In this case the already coined gasket will not bear additional load beyond the bolt tension, vibration and movement cannot further crush the gasket and lessen the connecting tension.